Ellie is bored at school. Together with her BFF, she wants to have fun during the class and she has many fun activities in mind. 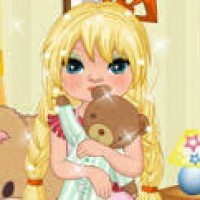 Join the blonde doll and her dear friend and enjoy this exciting new game! Princess Sofia is homeschooled and today she has a private lesson with her teacher, but she is really not in the mood when there are other fun things she would rather do. Can you help her have some fun during class without getting caught by her teacher? She wants to solve a puzzle game featuring a gorgeous landscape, day dream about a beautiful dress, then draw and color it on a piece of paper, she wants to play a game where she has to race while avoiding big rocks, she wants to brush her fluffy pet rabbit, make a beautiful arrangement for a tea party and scratch a card and she what she gets. Make sure you complete all these tasks before the time runs out and get the highest score. You will be rewarded points for every mission you complete. Have an amazing time!Much fun!Join now and have fun!